Regardless of your industry and the type of clients and customers you have, your customer relationship management (CRM) solution and the tools within it help you provide better customer service and give your sales and marketing teams a wealth of data from which to execute on strategies. Your CRM is a database of information about your sales, notes on your conversations, contact information and the interactions that help you track trends and behaviors. It doesn’t matter how small your company currently is, adopting a robust and user-friendly CRM solution can produce gains that are otherwise impossible. An increasing number of companies are going with CRM solutions that are residing in the cloud. 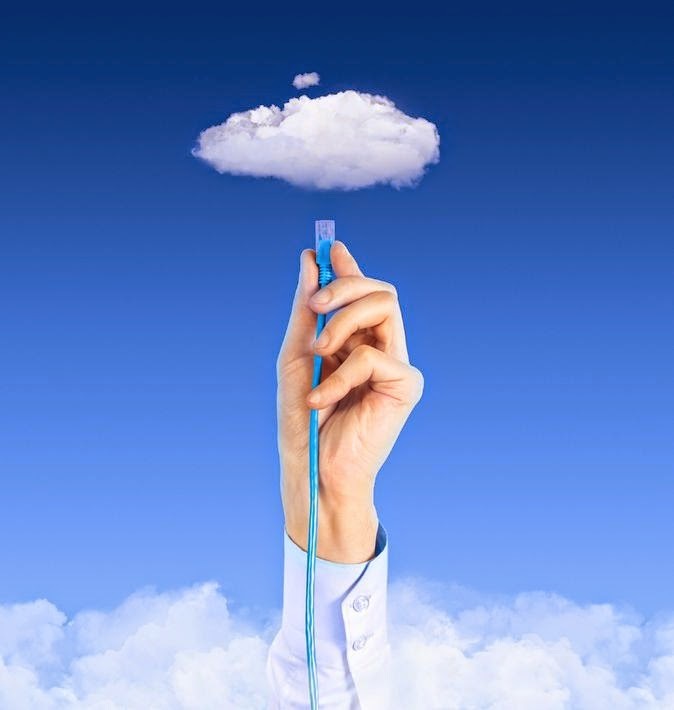 Let’s look at some key benefits companies see when they adopt cloud CRM. What started as a way to reconnect with old classmates you’ve lost touch with over the years has turned into a multi-billion dollar investment for the business world. Social media definitely has a place in the business space and so does your CRM. An increasing number of vendors have upgraded their CRM offerings to include a social aspect. Now, you can interact with your clients in the social media space through your smartphone, which helps you track interactions. When you’re connected with a cloud-based CRM, you will gain instant access to all the updates your CRM provider comes out with and it requires no work on your part. Your cloud CRM can be viewed as a database of client information that is instantly updated - enterprise wide - once new information is entered. When your other applications are linked to your cloud CRM, you can gain access to all the added services with seamless integration, even between disparate technologies. You don’t want to go through a painful upgrade every time you experience growth within your company. This is why cloud-based systems are so beneficial to expanding companies. If you have the unfortunate situation where you are seeing a loss in business, cloud CRM allows for scaling down as well. All you need to do is contact your provider and your capacity can be adjusted as needed. As all your information is provided through the Internet, you’ll have access to your data at all times; all you need is an Internet connection. This is especially important for the mobile salesforce that often works from their smartphones, tablet computers or laptops. When the CRM system is tied to a mobile app, the mobility factor becomes an even larger perk for the salesforce. However, these apps must be built to the specification of the salesforce, or you will see a low adoption rate. Front Row Solutions knows the salesforce is a finicky bunch when it comes to how they prefer to use mobile apps related to CRM. We know this because our company is founded by sales reps with years of experience working in the field and we’ve built our mobile CRM app around the needs of the salesforce. Contact us today and see how our solutions will work to provide you with a more productive cloud CRM experience. In the first few phases of owning and running a startup, every decision counts. From the storefront you operate out of, to your first hire, every detail great and small needs to be thought out in order to set your business up for success in the future. For many entrepreneurs, having a business is like having a baby and while we love it unconditionally, it’s easy to get impatient and frustrated when the startup suffers unexpected setbacks. Way early on in the game, it’s crucial for you, the business owner, to draft the most accurate, well thought out, flattering business plan you can for your business. A business plan is not something to write up absent mindedly as you binge watch Netflix on the couch. It deserves your full attention because a good business plan will not only outline a concise plan to set you up for the future (typically for the next five years), but it will be what helps gain your startup investment capital. Be sure that your plan includes an executive summary, business description, market analysis, implementation strategies, a web plan, management plan, and clearly defined financial analysis. It’s easy to assume from the start that it takes a village to raise a business, especially because if you go it alone you’ll be wearing all the hats as an entrepreneur. Hiring twice as many employees as you really need is not the answer. When you have too many employees staffed, there won’t be enough work to go around and people will start feeling bored and as though they don’t carry much value in your business. It’s also expensive to hire on full-time. Your startup should focus instead on finding the perfect balance, which means the best number of people to do all of the necessary work. Employees should be working hard, but not be overwhelmed day in and day out. Establishing a social media presence is a great way to grow your business quickly and inexpensively. There are no hard and fast rules for social media as it is still a new phenomenon that grows and changes every day, but the most important facets to keep in mind are to ensure you post regularly and with quality content. Once you create an account for your business’ Facebook, Twitter, LinkedIn, Instagram, and/or blog pages, it’s important to show your followers and customers alike that you are an attentive and dedicated business that finishes what it starts. Respond back to any @ mentions or an inquiry as soon as you can and make sure what you’re posting is a little all over the board as well. Experiment with content. Take fun behind the scenes photos from your headquarters, interview others in your industry, and tie in the overall theme of what you post back into your business. One of the best methods for bringing new technology to potential customers is through the industry conference experience. While a number of opportunities exist, only the best can draw in professionals from Front Row Solutions for the first-hand experience. Recently, Front Row was in Charlotte N.C. at one of the best sales conferences the company and its leadership has ever attended. The event was put on by the Bill Eckstrom and his staff at the Ecsell Institute and was focused on the sales manager, one of the most neglected but critical members of the management team. The goal was to provide insight, training and motivation. The tagline for the event, “Nothing Impacts Sales More Than Coaching” was the central focus of conversation at the presentations, breakout sessions and networking events. Front Row Solutions’ CEO, Etien D’Hollander attended as a delegate because of his role as a sales manager, as a sponsor because of his interest in all aspects of sales and sales management, and also as an exhibitor because of Front Row CRM. "As a delegate, I have a number of new insights and actionable items that I will use in my role as a sales manager. Of particular note was Lisa Mcleod and her presentation, “Leading Sales and Noble Purpose.” Not only will I use her concept of “Noble Purpose “as a sales rep and a sales manager, but I will also incorporate this concept into Front Row CRM. I also found Karyn Grassino and her presentation “Ignite: Sales Leadership Under Pressure” extremely valuable. As a sponsor, I found the numerous networking, social and interactive events tremendous. It was inspiring connecting with like-minded individuals who have a passion for sales and sales management and I left with many new friends, mentors and collaborators. As an exhibitor, with the support and promotion provided by Bill Eckstrom and his staff, my booth was busy and engaged and many leads were created." What really set this conference apart for Front Row was the entire Ecsell Institute staff’s obvious commitment to their customers and providing value in their time with Bill Eckstrom. Everything was about the customer: the conference agenda, the meals, the social events and the numerous impromptu discussions. The real insight came from the customers themselves: the numerous times they had come to this conference, the relaxed cooperative atmosphere and the value they place on the strong support and commitment from Bill and Ecsell Institute. If you are looking for a conference offering something special, whether as a delegate, sponsor or exhibitor, you owe it to yourself to check out this event and how it may benefit your organization. Today, sales and marketing teams need every advantage they can get to keep ahead of their competition. At Infer, we’ve had the opportunity to work with lots of companies on developing their lead scoring. While every business is a little bit different, in general they’re all aiming to figure out how to determine when they’ve got a Marketing Qualified Lead (MQL) to send to their inside sales team. By honing the lead qualification process, salespeople can focus all their energy on prospects who are a good fit for their product. 1. Is the prospect’s company massive or tiny? If a company is too small, or too large, you can often rule them out as a potential customer right away. Whether it’s Hoovers, D&B, or LinkedIn, there are lots of places you can go to get a sense for revenue and employee count. Interestingly, we often find it’s possible to really hone in on a few specific ranges, which can help you pinpoint your sweet spot when it comes to these metrics. For example, one of our customers gets the most winners with leads whose company size are between $10-25 million in revenue, does okay with leads in the $5-10 and $25-50 million ranges, but starts to see a negative correlation to conversion once a prospect reaches the $500 million + mark. 2. What can you learn from a lead's web site clues? You can find out a lot about your leads just by checking the overall size of their web site, and whether it features shopping carts, “contact me” buttons, or customer support portals. For example, if you’re selling advertising, then it’s very useful to know how a prospect generates awareness and converts site visitors into customers. 3. Are they based in Tokyo or somewhere in the Midwestern U.S.? Chances are there are certain geographies where you’re more successful than in others. Many web-to-lead forms will capture city and state, but even if you don’t have that data at your fingertips, you can visit the contact us page on their corporate website to look this up. 4. Are they growing like a rocketship or stagnating? An expanding company often has more resources to take on new initiatives. Job postings, new offices, or financing news are all leading indicators for growth. Other good signals to look at are its web site traffic and its social networking presence in places like Twitter, Facebook, pinterest, Instagram, etc. Tools like Alexa and Google Trends give you quick insight into how rapidly a company’s online presence is growing. 5. Is their company in its infancy or middle-aged? Do you sell into emerging or established companies? Many companies can target their customers based on company age, and looking at when they filed their incorporation document is one way to tell which stage of company life they fall into. 6. Who are their best leads? Is there a particular industry or business model you’ve had success selling into? By pulling up a prospect’s web site and digging into their product, customer or partner pages, for example, you can usually tell if they’re going to be a fit for your product. 7. What’s in their technology stack? It takes some digging, but you can often find out select products a company is leveraging. This tells you a lot about their level of sophistication and, in some cases, the environment for your product. 8. Where’s their box on the org chart? If the company is a fit for your product, it warrants looking at the individual’s job title. Do they have pull within the organization? Are they your target buyer? LinkedIn and Twitter are two great resources to understand their motivation. 9. Are they just spamming you or is there proof of life? If the lead’s email address is ronald@macdonalds.com, they may not be a real person. This type of information is negatively correlated to conversion, but it’s actually a highly valuable signal for weeding out spammy leads. For example, plenty of people might just want your free trial, so they type in fake contact information to get through your web form. On the flip side, if they take the time to fill out the form with complete, accurate data, it may indicate that they’re serious about purchasing your product. 10. Did they stick their business card in your drawing fishbowl at a trade show, or read a 10-page white paper on your website? There is often tribal wisdom within an organization around which lead sources are better than others. But that’s just the tip of the iceberg. With marketing automation platforms you can track how prospects are engaging with your content on your website, through email marketing, and social channels. These behavioral breadcrumbs can give you key insight into your leads’ interest areas, so you can target your messaging appropriately. While most of what you need to qualify a hot lead is actually out there in the public domain, the tricky part is stitching all those data sources together, and figuring out the right weighting for each attribute. The strength of a good sales team is in its ability to be mobile – to get out of the office and make face-to-face interactions with customers and solidify sales. A sales team that is tied to their desks is far less productive. However, until recently, mobile sales teams still had to return to the office to submit sales reports. Your sales managers need the information that can give them the insights they need to get more clarity on what’s going on in a sales rep’s daily activities. It’s through sales reports that these insights can be gained. 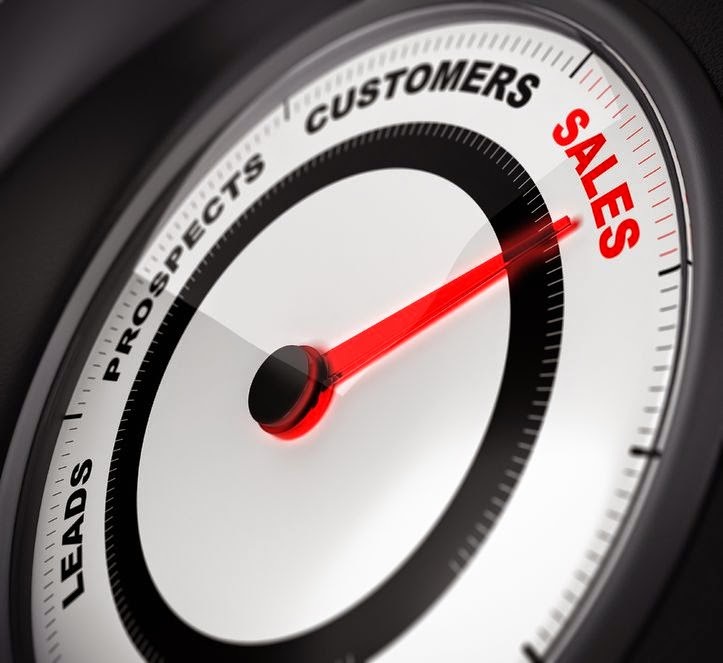 Unfortunately, when it comes to adopting CRM solutions enterprise-wide, it’s usually the sales team that falls short of total buy-in and fails to offer the reports on a consistent basis. It’s highly unlikely that any member of your sales team is not using a smartphone or tablet computer while in the field. An iOS sales app on these mobile devices can offer your sales team a quick and easy way to stay mobile while sending in the reports you use to drive better performance out of your team while pinning down customer habits and behaviors. So many businessmen and women have realized the value of the iOS sales app in their day-to-day routines that the app adoption is expected to grow by 500 percent at some point this year. Your focus might be on the bottom line, but giving your sales reps the mobility and flexibility to work in the field creates more loyalty among your workforce. However, sales reps are notorious for loathing laborious CRM training. They’re even more notorious for their reluctance to file sales reports, especially if the CRM reporting tools are too complex and time consuming. Therefore, you need to take a close look at the iOS sales app you’re considering and make certain it caters to the needs of your sales team. You rely on your data to help you make sales to your current customers, but also to market to those customers so they’ll be around for a long time. This means your data has to be accurate. You need to make sure your contact information is entered correctly and that everything about the sale is recorded accurately. The iOS sales app allows your sales team to make the report within seconds of the end of the sales call, which means all the information is completely fresh in their memory and less likely to be entered incorrectly. Front Row Solutions has perfected the iOS sales app process. When your sales rep finishes a sales call, they simply launch the Front Row app and enter the sales information, which could include pictures from the camera app, and send it to the Front Row servers. The whole process takes as little as 30 seconds. The message from your sales reps will identify who sent the report, which client was contacted and the time and date. The sales rep analytics database, client database and customized dashboard are all automatically populated with all the information in the report. Whether it’s a Blackberry, iPhone or Android – give your sales reps the power of Front Row mobility today.